Where do I start with this post? I love meatballs. There I said it. I don't make it often enough. But when I do, I enjoy it so very much. I've noticed so many variations of the humble meatball pop up all over the blogosphere, I have got to try some soon. Also, I love Asian flavours. I've always been a big fan of Chinese food. Very recently, I've sort of gotten hooked on to some amazing Malaysian and Japanese food. But back to the topic at hand. 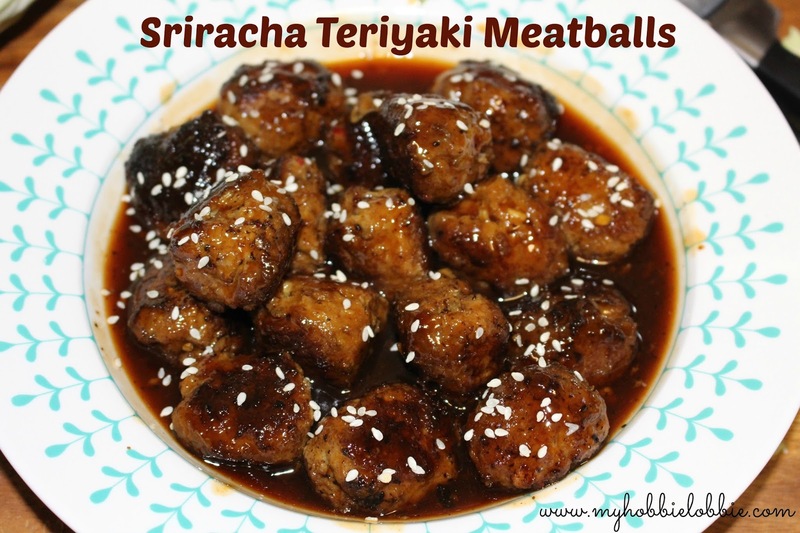 When I saw this recipe for Sriracha Teriyaki Meatballs, I knew I had to make it and soon. 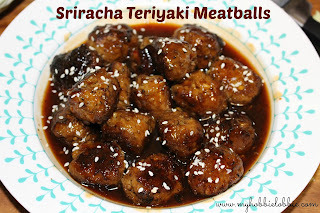 It combined meatballs with Asian flavours and the added bonus was the heat from the Sriracha sauce. What's not to love about that? Soak the slices of bread in water, squeeze out all the liquid and crumble the bread into a mixing bowl. Tip in all the above ingredients, except the olive oil. Mix well till combined evenly. 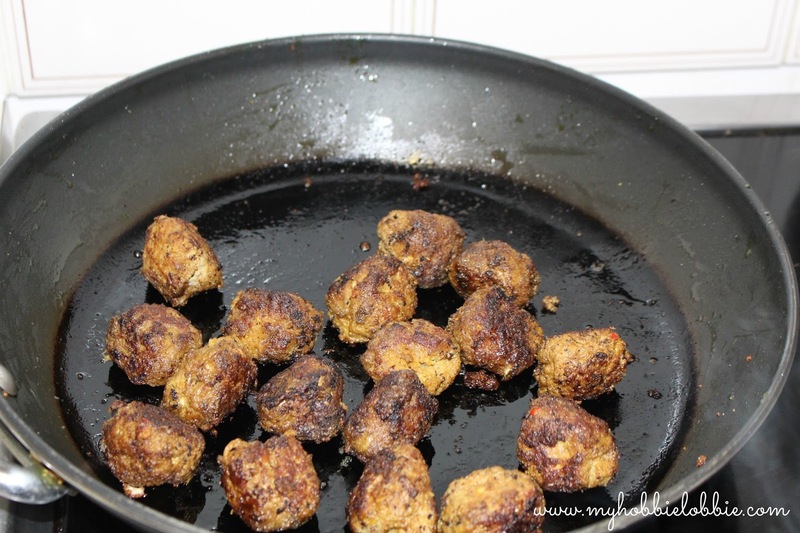 Heat a couple of spoons of oil in a frying pan over medium heat and fry the meatballs till nicely browned and cooked through. Don't overcrowd the pan while frying the meatballs. You may need to fry them up in batches. 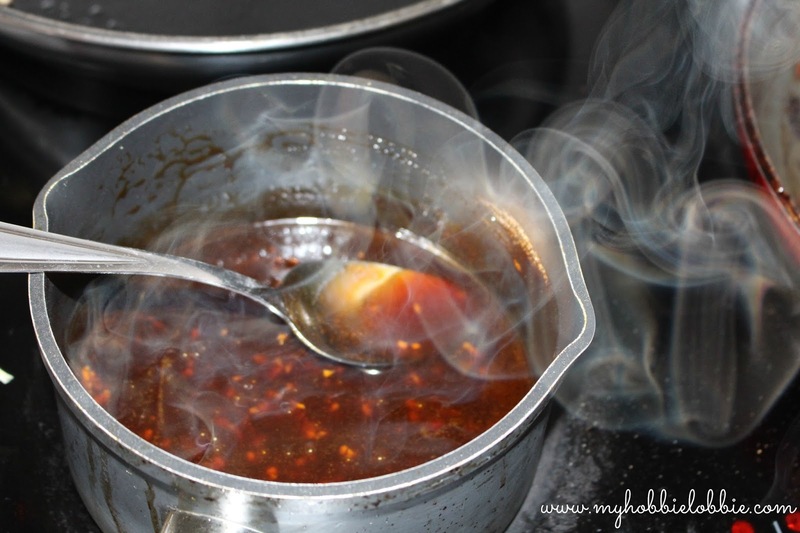 In a small saucepan, combine the Soy sauce, honey, 1/2 cup of water, sesame oil, Sriracha sauce and ginger. Heat it over a medium low flame and stir constantly till the honey is dissolved, about 2-3 minutes. In a little bowl, combine the cornstarch and the 3 tbsp water till dissolved. Add to the glaze and stir well to combine. Increase the heat to medium high and keep stirring as the sauce cooks and thickens. It should take about 2-3 minutes. Once the sauce has thickened, take it off the heat and stir in the sesame seeds. Add the sauce to the meatballs and stir to coat well. Garnish by sprinkling some sesame seeds over. Serve over some nice brown rice or noodles of your choice.